Whether you’re a novice or long-time camper, it’s imperative that you pack a wilderness first aid kit for your trip. Accidents happen all the time when camping. From small cuts and scrapes to bug bites or even dangerous burns – anything is possible. You should always go through a camping first aid kit checklist before you leave and pack with safety in mind. Discover how you can create the best first aid kit for camping with your family below! We have structured our camping first aid kit checklist in three major categories, with specific examples to support each section. To kick-start your camping first aid kit DIY project, go through the tools, treatments, and wraps you’ll need below. Splinters and thorns are a part of almost any family camping trip. You’ll be hiking, exploring, and engaging in other outdoor activities, so you’ll be fully exposed to nature. While a splinter or two shouldn’t cause panic, you should have the right tools ready to remove them. Tweezers – for removing splinters, thorns, and even ticks, if you’re camping with a dog. Scissors – for cutting bandages, gauze, and other wraps. Multi-tool with Knife – for cutting through any stronger materials or items. You should always have a multi-tool at hand for other camping activities, too. Safety Pins – for securing wraps or any damaged fabrics. No camping first aid kit checklist is complete without medicine. If you’re in the wilderness, you most likely won’t have a pharmacy or hospital around. Therefore, you have to be prepared to treat any minor injuries swiftly and safely. Hydrogen Peroxide – for washing any wound prior to bandaging it. Antiseptic Cream – for disinfecting cuts (i.e. Betadine, Bepanthen). Antihistamine Cream – for allergy, rash or itch relief. Insect Bite Treatment – also pack bug spray for prevention. Eye Drops – or another form of eye lubricant. Aloe Vera – for naturally treating burns or sores. Sunscreen – also bring sunburn relief spray for treatment. Sterile Wipes – for cleansing minor wounds. Medication – for pain relief, but also any prescription medication the campers have to take. A fundamental part of any proper camping first aid checklist is the bandages section. After cleaning and treating a wound or other small injury, you have to protect it from additional harm. Even more, some bandages can help you prevent minor annoyances, such as blisters. Adhesive Bandages – band-aids in various shapes and sizes, as well as butterfly bandages for closing small wounds. Moleskin – for preventing and/ or covering blisters. Gauze – sterile heavy gauze pads or rolls for wrapping wounds. Cotton Balls – and Q-tips for applying topical medication. Medical Tape – for securing non-adhesive sterile dressings. Elastic Wrap – for treating muscle strains and sprains. Bandana – for using as a makeshift tourniquet. If you bring all the items we described in our camping first aid kit checklist, you should be good to go. However, one of the things you really need to know when you go camping is that you need to be specific with your essentials. 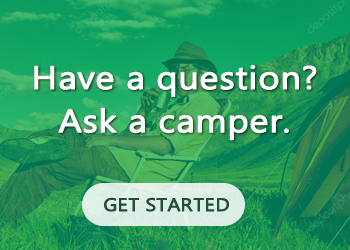 In other words, you have to tailor your own camping first aid kit checklist based on your situation. Small children – if you’ll be camping with toddlers, for instance, you should also add teething medicine to your camping first aid kit checklist. To conclude, a camping first aid kit checklist is essential for any outdoor trip. 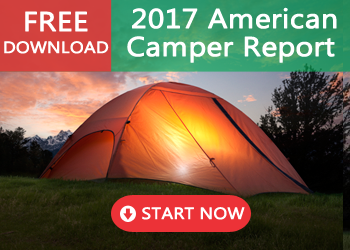 It may seem like an extra source of pre-camping stress, but you’ll be well-prepared for any situation. Additionally, once you get your base kit prepared, all you’ll have to do is replenish your stock before a trip (if necessary). 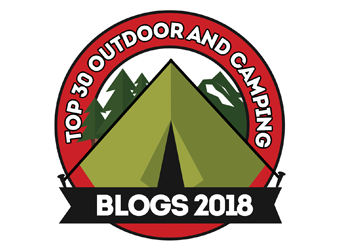 We also recommend that you check out the best outdoor and camping blogs for more useful information. Are there any other items you would add to your first aid kit contents checklist?